The Swedish retailer has announced plans to close all stores in the UK and Germany and focus on internet retailing, blaming a weak retail climate and the cost of developing a strong digital presence. The move is expected to deliver a £6.5million annual boost to operating profit when closures have been completed. Clas Ohlson entered the UK market in 2008, opening its first store in Croydon. However, the retailer has, today, announced plans to shut up its remaining network of shops across the UK and Germany, explaining that the board wants to take a new direction for Clas Ohlson’s market presence and focus on online shopping. The news follows the steady closure of a number of Clas Ohlson outlets, including the flagship Croydon store, which shut its doors on August 18. The retailer has reported softer sales in the UK and announced plans to halve its store network in 2017. The announcement was made as Clas Ohlson reported sales uplift of 8% to 2,157million SEK (£187.6million) in Q2, with organic sales up 4% and up 1% in comparable units. Profit after tax reached 25million SEK (£2.2million). However, operating profit slumped 74% to 33million SEK (£2.88million), hit by costs totalling 90million SEK. Despite the cost to the business, investment in online has yielded positive results, with sales growth of 43% for the quarter; and Clas Ohlson says it wants to play to its strengths in order to compete in a “challenging” retail climate, which is experiencing a fast rate of change. 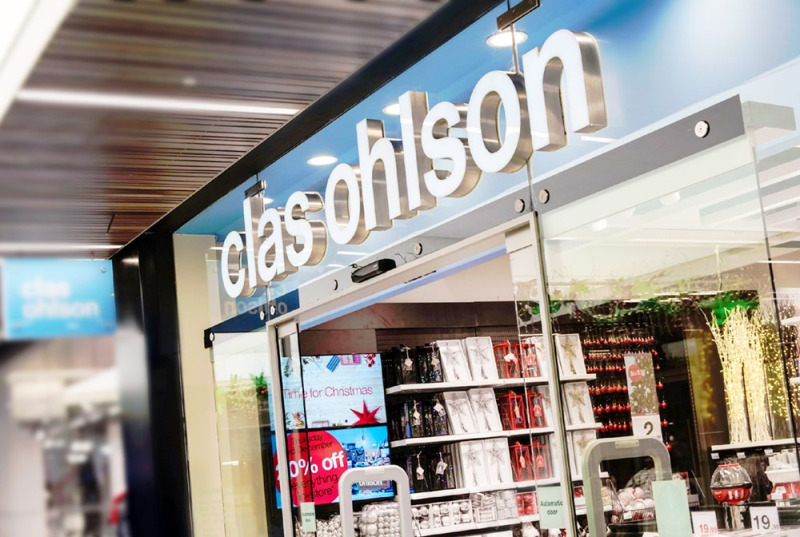 Whilst operations in its home market in the Nordic region, where it operates 227 stores continue to perform positively, Clas Ohlson said its UK business is incurring “significant losses”, and that measures taken to optimise the store network has not delivered the results hoped for. The retailer explained that operations in Sweden and Norway enjoy a uniquely strong position and, opportunities had also been identified to improve profitability further in Finland. However, CEO and president Lotta Lyrå added that “in light of the shift in the retail sector” and in line with its previously-announced strategy, the board wants to take “a completely new direction for operations outside the Nordics”, with a view to establishing “a scalable business model that improves long-term profitable growth at a lower financial risk exposure”. Once the business model has been established, Cllas Ohlson expects to roll it out to other markets. As a result, the remaining UK stores will close, as will four stores in Germany, as Clas Ohlson revealed that the German pilot sites will be “unable to deliver on plan” and that conditions are not right to achieve profitability. It will see approximately 150 jobs axed within the business, with the total settlement cost estimated at a one-off outgoing of 210million SEK (£18.3million). Whilst timeline for the closures has not been given, the business said planning will be made following careful consideration of lease terms of each individual store, in order to reduce costs as much as possible. The discontinuation costs will be reported in the retailer’s upcoming nine-month report. Once closures have been completed, the move to the new model is expected to deliver annual savings of around 75million SEK (£6.2million). As Clas Ohlson switches its focus to internet retail, the business details the investment it has made, including strengthening its online shopping platform during Q2 by broadening the range and expanding digital capabilities and capacity for home delivery. These changes mean Clas Ohlson has established an e-commerce platform that allows for future growth and, in the short-term, ensures the retailer is prepared to manage the increase in demand expected in the forthcoming Christmas shopping period. The retailer also now offers around 100 products to UK consumers through its partnership with Amazon.uk, whilst click & collect is proving increasingly popular with Clas Ohlson’s customer base, as it was revealed that 30% of Swedish online customers choose this delivery option. Tests of new concepts, such as Lab store and Concept store, will also continue and the business has also launched a new initiative, “Clas Fix it”, for customers in certain areas of Stockholm, providing help with home DIY services. Clas Ohlson to retain one UK store in "key location"